Here we are at week 5 of the Reddit 52 Week Baking Challenge. Another tricky one this week - Chinese New Year. I'd have loved to have done steamed pork buns, but there was lots of debate going on over at the subreddit as to whether steaming really counted as baking. Also, I don't own a bamboo steamer. 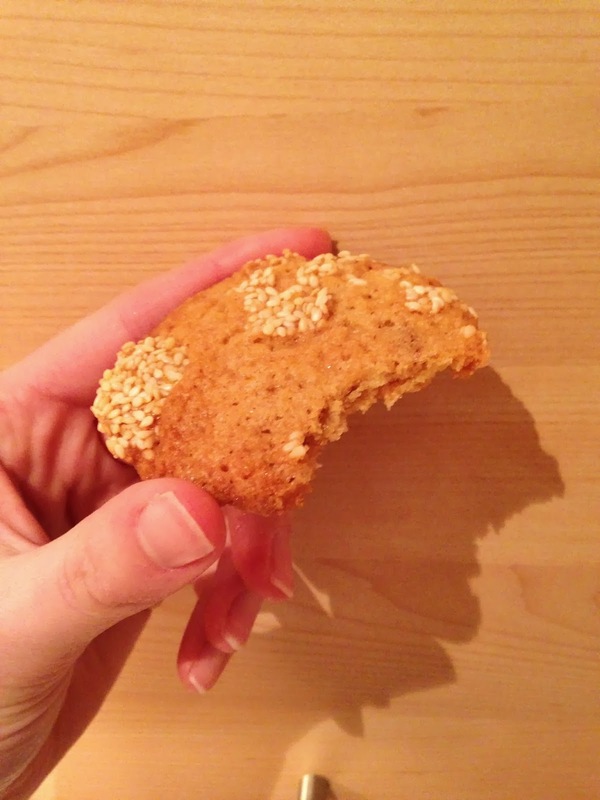 So I found these sesame cookies on Google and they looked simple enough. Better yet, the only thing I needed to buy was sesame seeds. No step-by-step photos this week (because I forgot!) but they were really just a normal biscuit recipe (that's cookies to my American friends) rolled in egg and sesame seeds before baking. I used this recipe and halved the quantities. Turns out halving a beaten egg is tricky, so my dough was a bit wetter then it should have been. 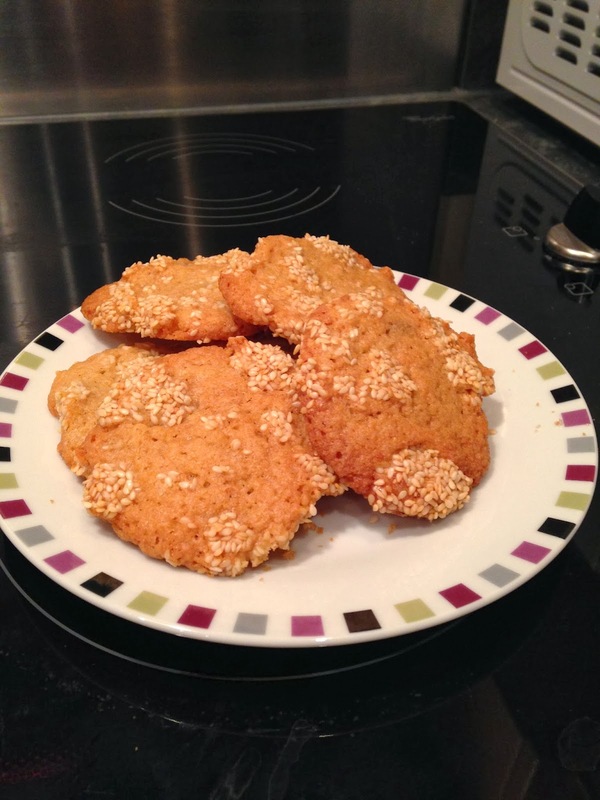 In the photo on the recipe page, the sesame seeds are evenly distributed over the cookies. Mine decided not to do that. I blame the egg. They taste... interesting. Somewhere in between savoury and sweet. Not the best cookies I've ever baked. Next week, I'll be taking on bread. Having never successfully cooked an edible loaf before, it should be interesting to say the least. Try King Arthur Floyd's recipe for Blitz Foccacia. So simple and delicious. One tip if you do: put parchment paper in the bottom of the pan before the oil. Thanks for the suggestion, I'll have a look at it.